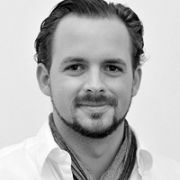 Florian currently is Associate Director of Global Brand Communication at Allianz Group in Munich. He is in charge of building and protecting the Allianz brand globally as well as of driving the business by breakthrough relevant and engaging brand communication. Prior to this role he worked at Triumph International for about six years, most recently as Head of CCMS (Creative Communication and Marketing Services). Florian was born in Austria. Having trained as a photographer, he later switched to the commerce side of visual arts and has 8 years agency level experience.